Hillary Clinton showed up to her Chappaqua, New York polling station to cast her ballot bright and early on Election Day. Husband and former President Bill Clinton was by her side as she drew a huge crowd while hugging supporters before casting her vote. Clinton is hoping to make history as the first female president of the United States. New York is typically a blue state. 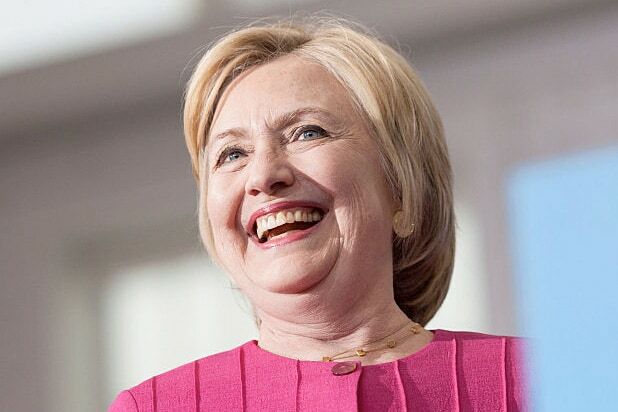 Clinton chose to reside in the town of Chappaqua when she wanted to establish residency in the state for a political career following her husband’s time in the White House. It worked, and she served as a New York senator from 2001-2009. After Clinton’s stint as senator, she was the 67th secretary of state. The Clintons exited through a crowd, greeting supporters and Chappaqua neighbors. The small town in Westchester County, New York is among the most posh areas of the country. Republican nominee Donald Trump is expected to vote in midtown Manhattan, close to his Trump Tower headquarters. Both candidates will be in Manhattan on Election Night for planned celebrations as the results of come in and a new president is decided.